The ageless question men ask about women is “what do women want in a relationship?”There are many myths to what women desire. Most men believe that women want the perfect house, loving husband and a family. They want happiness, travel and entertainment. They want a man who will emotionally support them and always find them attractive. They want it all. According to a study in the Journal of Psychology, relationship satisfaction scores highest in what women look for in a partner. Apparently in women, emotions are things that are required. Empathy and the ability to read their partner’s emotions is up on the list. “For women, seeing their husband or boyfriend upset is a reflection of their partner’s emotional engagement. When women see their male partners sharing their negative emotions, they see it as a sign of connection, openness and communication. Women don’t like it when men distance themselves during conflict,” says the study’s lead author, Dr. Shiri Cohen of Harvard Medical School. But women want more than the ability to read their partner’s emotions. They want trust, understanding, intimacy and space. Women want to feel understood and accepted. This is not only in sensual settings, but in intimate settings of love and compassion. It’s the little things: holding hands, a kiss on the forehead, flowers brought home for no reason, a sweet text, or a magazine. They need to believe that their counterparts are thinking of them. They want their mates to see them whole. Women want to feel desired, because true intimacy is a sacred experience. Intimacy is the beautiful affection that is constant. It is loving and endless. There are no substitutes for how one soul sees another. To a woman, there is nothing more flattering than being supported for the decisions she makes. Whether it is in regards to her career choices, family decisions, health issues or finances, women feel secure when their partner supports them. They feel safe. They know that they are not conquering the world alone, or taking care of things companionless. Being supported allows them to make healthy decisions and they succeed because of it. When a woman is supported, she feels protected. It goes without saying that the foundation to a lasting relationship is trust. Honesty is still the best policy. When a woman has that certainty in her life, she is opened to communicate fearlessly with her mate. She can be herself and not feel that she will be betrayed. Trust is not only about fidelity, it’s about opening the heart and sharing with your loved one. It’s loyalty, cooperation, and consideration. Trust involves support, vulnerability, integrity, and intimacy. It requires that we stand raw and expose the dark and light parts of the soul without the fear of getting hurt. Women have special bonds with their girlfriends. They laugh, encourage, share, and understand one another. But, when they find that special someone who they can trust and be themselves with, that’s the icing on the cake. Women want to marry their best friends. They want to nest together, share stories, raise a family, and conquer the sweet life. They want to feel that they are seen and understood without judgment or criticism. The most amazing relationship to a woman is knowing that she is committed to her best friend and vice versa. 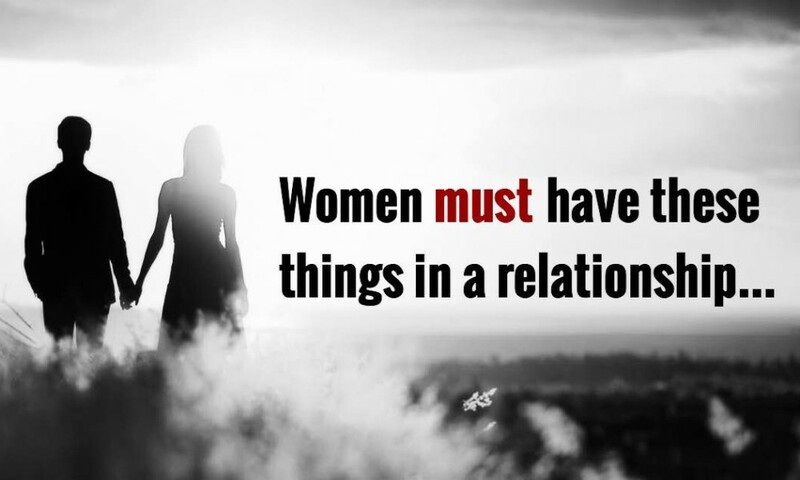 Respect, compassion, gentleness, acceptance, love, and laughter open up any woman in a relationship. She wants to believe that she’s able to be herself. She wants to be able to follow her dreams alongside her partner. Women don’t want an egocentric man who dominates them. They just want someone who will stand by them and see them for who they really are. They want the happily ever after of mutual love and admiration.